Mixing with New Zealand’s top entrepreneurs has helped a group of mostly Year 10 students develop a stronger sense of where their high school years can lead to. The group was invited to attend the announcement of the finalists in the EY Entrepreneur of the Year contest. Alumni John Hynds, who has founded the Business Academy at Manurewa High School, helped to create the opportunity for the students. John is a past winner of the Entrepreneur of the Year award, which recognised the success he has created from a business he began in Manurewa in the 1970s. At the event, students heard from last year’s winner, Craig Hickson, who runs a meat exporting company. His talk helped students to understand that “ordinary people do amazing things”. This year’s finalists run businesses that range from food, to technology, to aged care, skin care, and professional services. Some of the businesses seemed to students to be quite ordinary, like Pita Pit, but there was some rocket science too, from a company that takes business into space. Meeting the people behind the businesses made the students appreciate the passion that drives success. EY and John Hynds for this opportunity. Tamara Elliot from Graeme Dingle Foundation for her work to prepare the students. 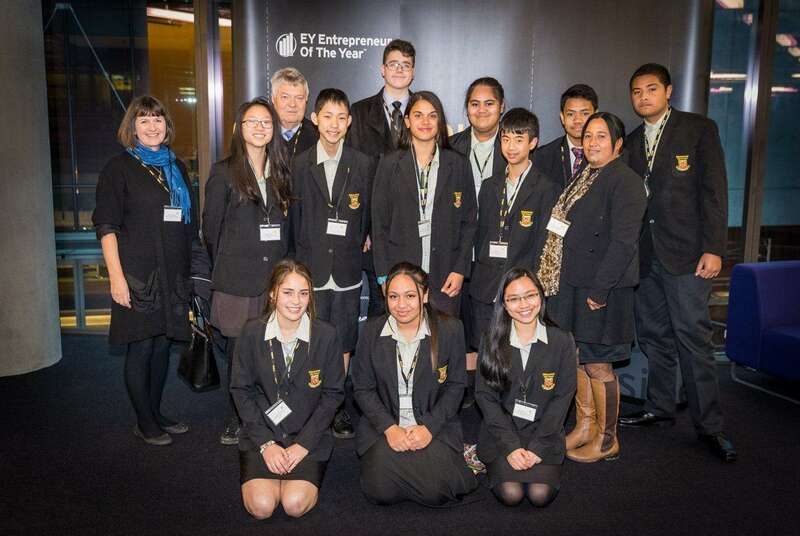 The students for embracing the experience, and representing Manurewa High School so well.